In the winter, the setting sun shines through the keyhole at the perfect angle. 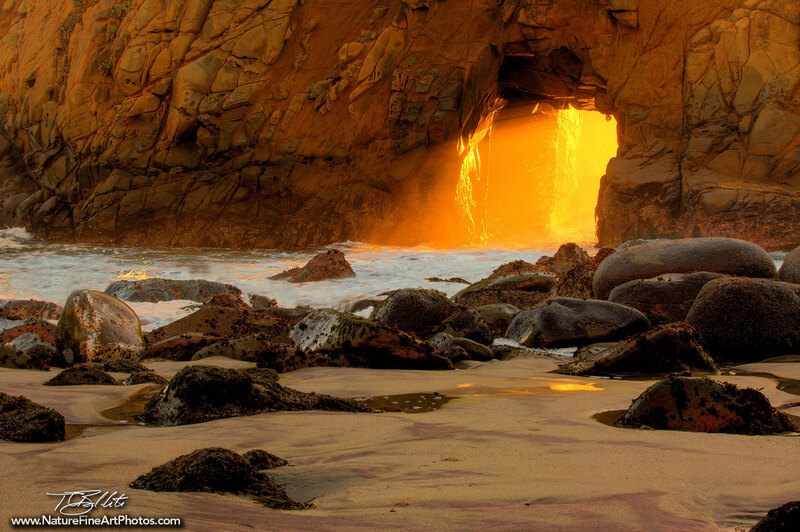 The ocean waves relentlessly beat onto the California coast, spraying a colorful mist towards the beach. The foreground sand and rocks draw the viewer into The glowing hole, while the detailed and colorful sandstone add to the dramatic moment.